We met Reese down at Formula Drift at Wall Speedway this past summer while we were in the pits with FD driver, Chelsea Denofa. 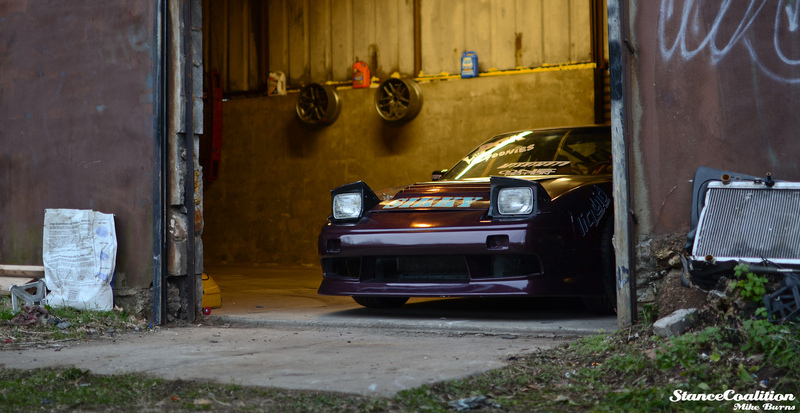 We constantly heard after about his sweet 240 drift car build that he was working on. After hearing the story about the car, I knew that it had to be featured. 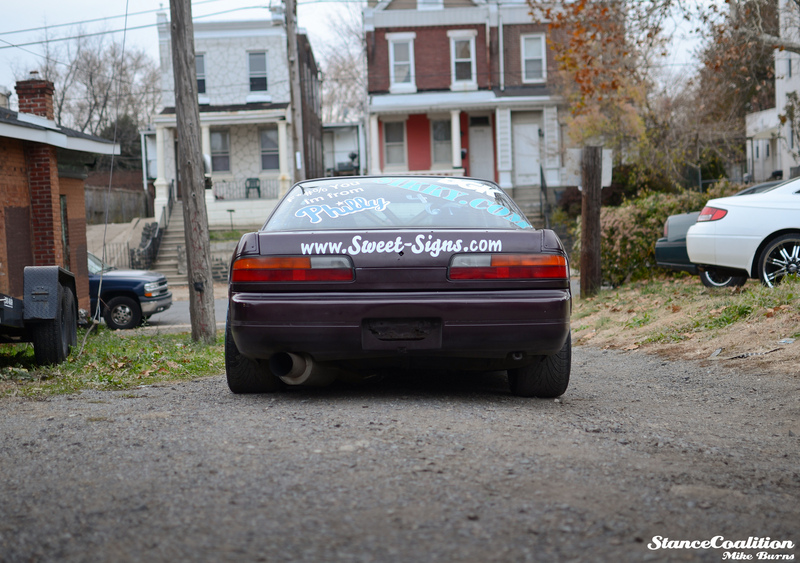 I’ve never met someone so close with the city of Philadelphia and the street drifting scene it has. Reese is a cool guy. Always in a good mood, crackin jokes and never seems to have anything bad to say about anyone. 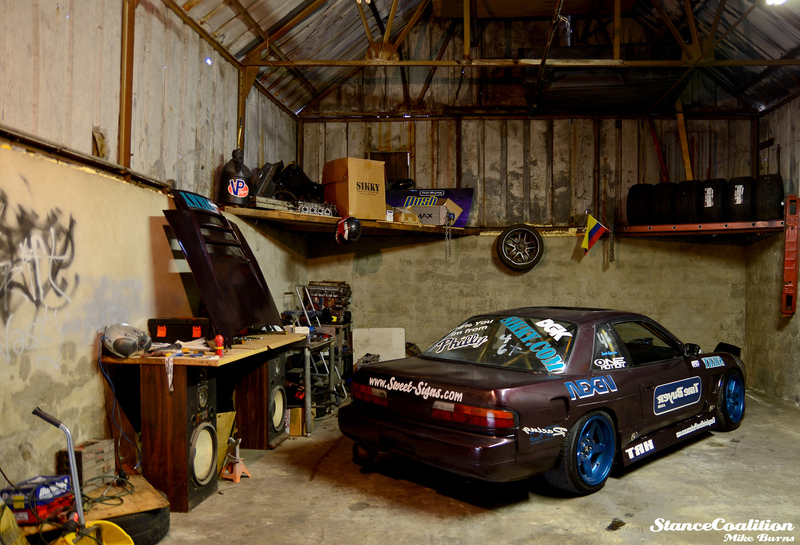 When going down to the garage that he built his car in the neighborhood was full of Hondas, who would think hiding in one of these rugged looking garages could be such a badass car? 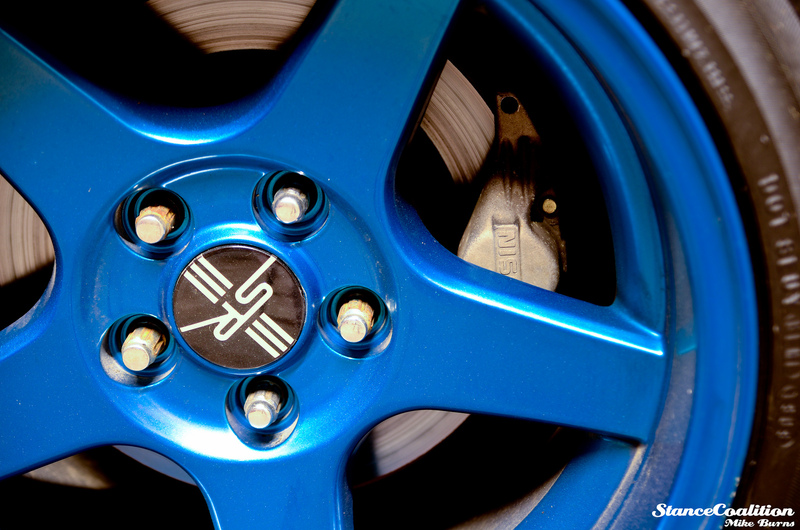 “The decision to move to a V8 power plate came after a long debate of putting the KA24DET to rest after having many turbo issues. 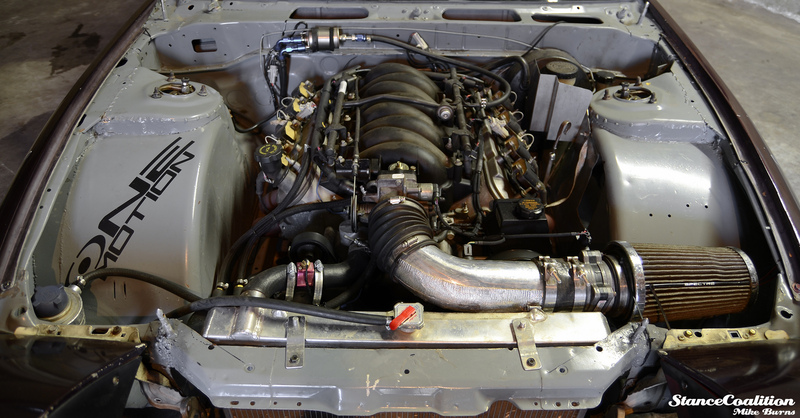 To be honest the 1JZ was going to be the next engine but this LS1 swap was too good of a deal to pass up. 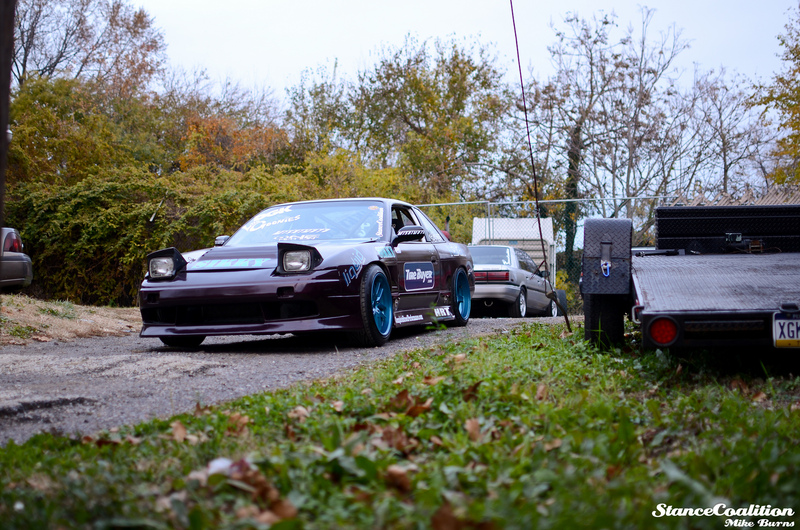 Building this car was a lot of fun because of the fact that it was 90% done in my own rugged little garage in North Philly. It was just a bunch of hand tools and no lift. This grassroots approach was a very refreshing experience. 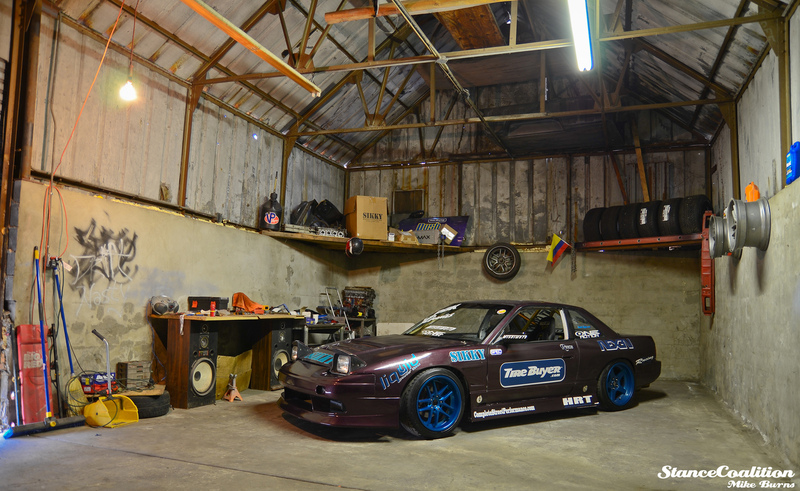 Nothing like chilling with a bunch of your bros and wrenching away. When Reese starts the car, it’s not super loud and screaming “I have a V8!” The car has a mellow, but deep tone that could catch your average street racer by surprise! 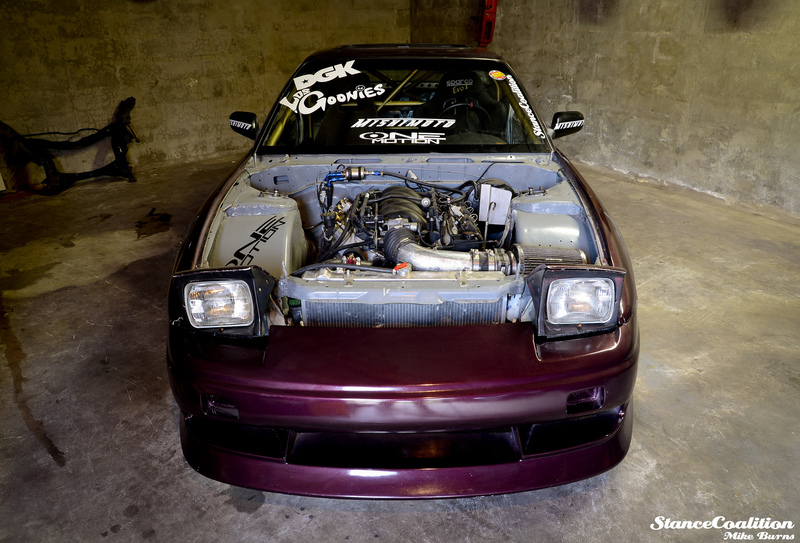 This car was built with drifting in mind. 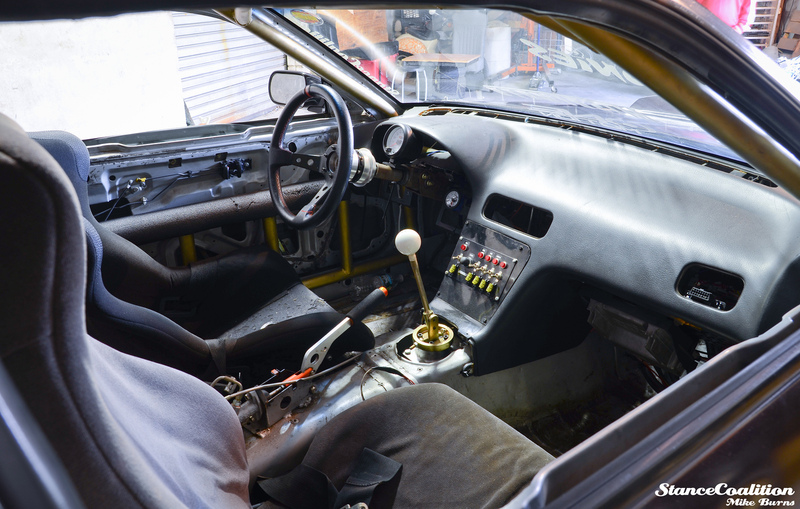 Reese kills it at the track sliding around with the fully gutted interior, Sparco EVO seats, KSport handbrake, and more! 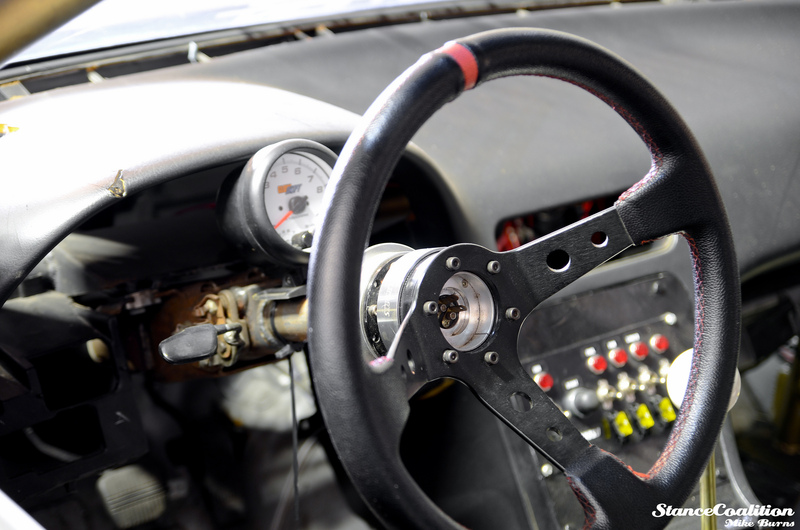 However, that stock seat is still in tact for any ride alongs on the track. 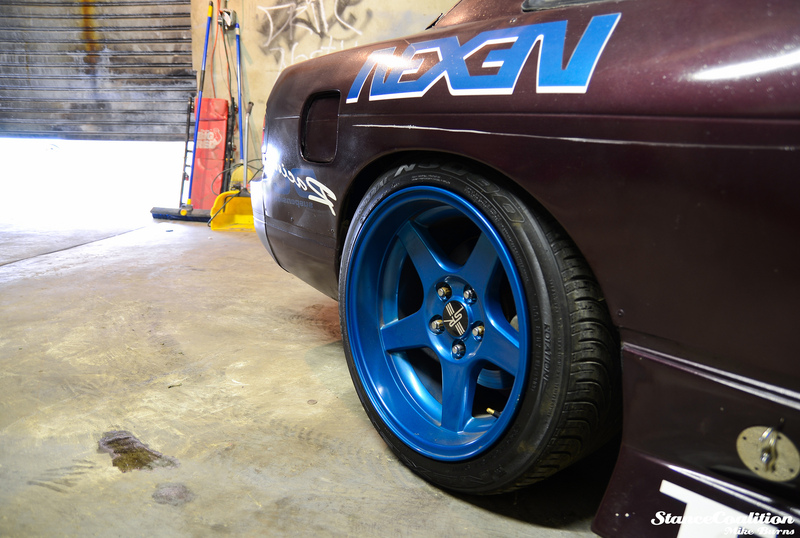 The Mustang Cobra reps also set the rear of the car off along with the Nexen tires to give it a nice, functional stance. 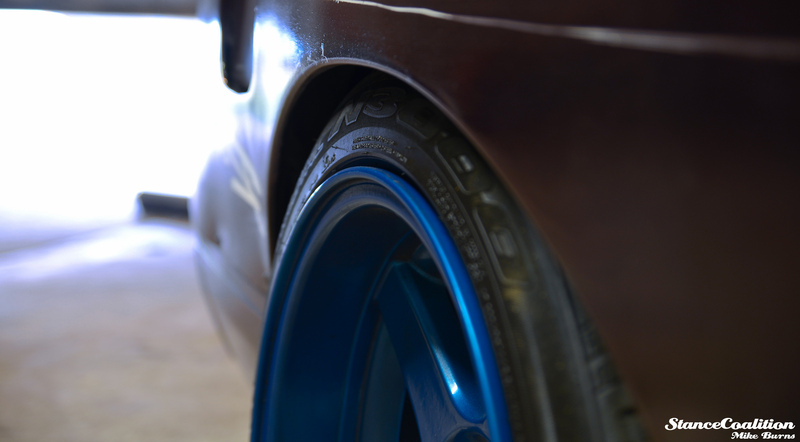 BC Racing coilovers also help the car stay grounded at its current ride height. And check out that sweet hood pin setup with the side skirts! Pretty creative. I can’t say anything more than how sweet this car is. 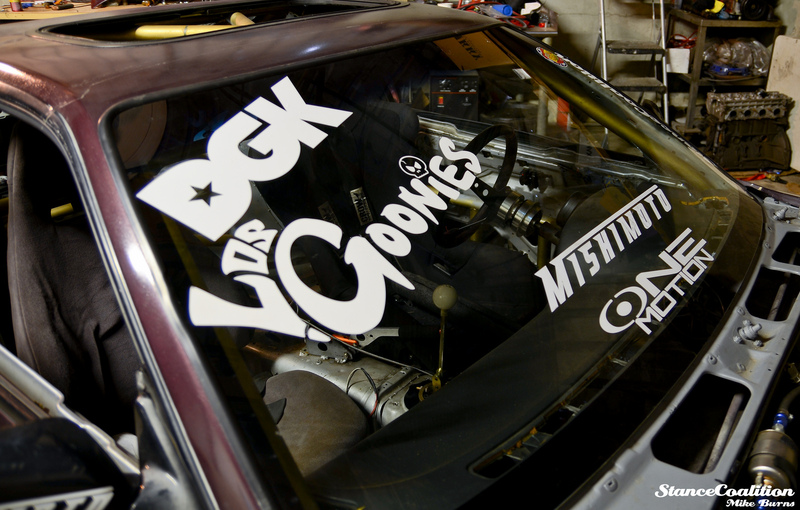 The grassroots garage and serious Philly influence is what built this car. No fancy shops or equipment was used. 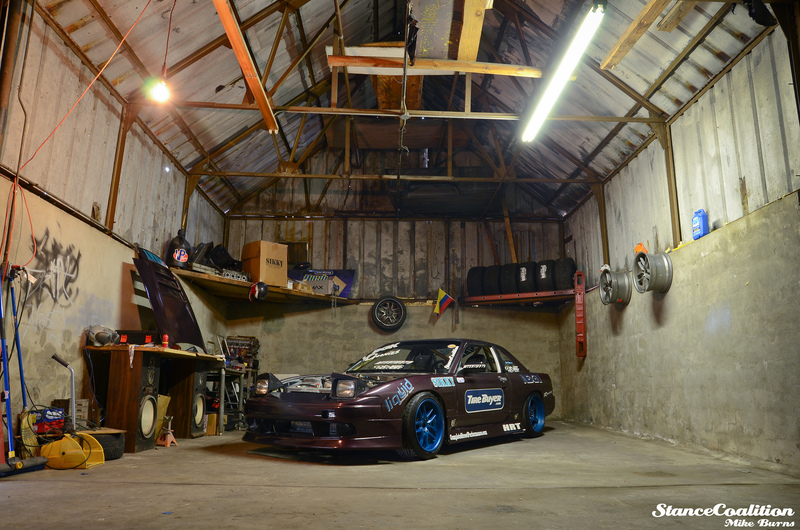 It just goes to prove that you don’t need loads of equipment and resources to build a sweet car. Only some close friends and a lot of time. Nothing beats building with your buddies.